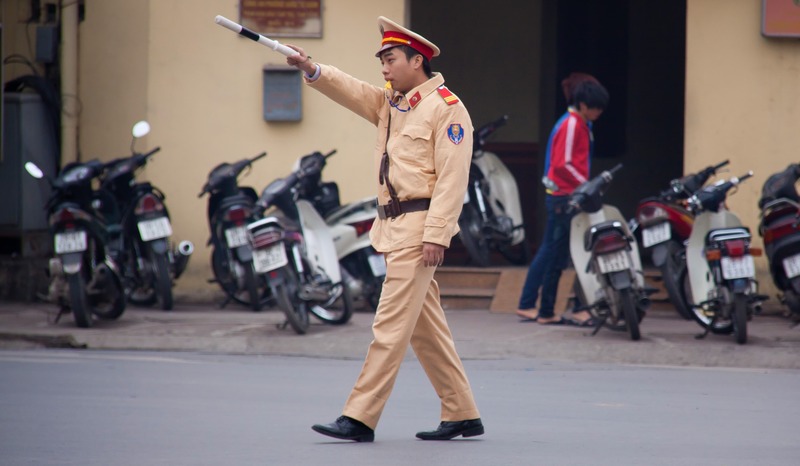 Detaining enemies of the state could erode international support for Vietnam. Since General Secretary Nguyen Phu Trong emerged in firm control atop Vietnam’s political leadership in early 2016, Hanoi has gone on the offensive in a massive effort to clamp down on internal political dissent of all stripes, arresting bloggers and purging corrupt state officials. The Communist Party’s disproportionately harsh tactics risk further undermining its domestic support, tied to steady economic growth that has resulted in improved living conditions over the past three decades. The crackdown on enemies of the state could also erode investor confidence and international support as Vietnam seeks to escape the middle-income trap and implement major political and economic reforms. Worse, it could isolate Hanoi diplomatically as it tries to navigate tense relations with China by expanding its security partnerships with outside powers, such as Japan, India, Australia, and the US. Recent examples are telling. Last Thursday, a court in Hanoi sentenced Vietnamese human rights lawyer Nguyen Van Dai to 15 years in jail for “aiming to overthrow” the state, under Article 79 of the Penal Code. The court also handed down similar sentences, ranging from 7 to 12 years, to five other activists. In March, Vietnamese authorities detained controversial singer Do Nguyen Mai Khoi for eight hours in Hanoi airport on her way back from Europe. Nguyen had tried unsuccessfully to acquire a seat in Vietnam’s National Assembly in 2016 and has built a reputation as a political activist. She met President Barack Obama on his visit to Vietnam in 2015. In November, a court in Nha Trang sentenced a prominent blogger known as “Mother Mushroom” to ten years in prison for “spreading propaganda against the state” (Article 88 of the Penal Code). These high-profile arrests have become the norm in recent years. According to Human Rights Watch, Vietnam used national security laws to arrest at least 21 individuals in 2017 for a range of offences. A recent report by Amnesty International estimates there are 97 prisoners of conscience (defined as “someone who has not used or advocated violence but is imprisoned because of who they are or what they believe (religious, political or other conscientiously held beliefs”) in Vietnamese jails. Nearly half face charges of “aiming to overthrow the state”. According to Amnesty International, more than a third of the prisoners of conscience identify with ethnic minority groups. The Communist Party of Vietnam’s reach has not been limited to the country’s borders. In Berlin last July, Vietnamese secret service agents brazenly abducted a former oil executive, Trinh Xuan Thanh, in broad daylight. A vehicle pulled up to Trinh while he was walking in Tiergarten Park, and several men reportedly forced him into the car’s boot at gunpoint. Trinh was flown back to Hanoi, where he was seen on TV confessing the loss of $145 million during his time as chairman of PetroVietnam’s subsidiary construction company. Vietnam–Germany relations have cooled in the wake of this dramatic act of foreign interference. The two countries signed a strategic partnership agreement in 2011. The episode has jeopardised the EU-Vietnam Free Trade Agreement (EVFTA), settled in December 2015 and expected to come into force this year. While Germany is Vietnam’s largest European trading partner, the EU is Vietnam’s second greatest trading partner and second-biggest export market. As Vietnam tries to deepen security and economic ties with Japan, India, Australia, and the US, among other nations, illicit or illegal behaviour skirting the limits of international legal norms could damage Hanoi’s credibility and the willingness of foreign partners to support it. It is ironic that as Vietnam seeks external partners to balance against China (perceived as the country’s top security threat), its willingness to employ more sweeping internal repression makes the Communist Party’s tactics resemble Xi Jinping’s style of Chinese authoritarianism more closely. While Vietnam remains an authoritarian, single-party state, some analysts – myself included – had held out modest hopes that the country was gradually reforming, loosening economic and political controls as rising wealth boosted the regime’s confidence in its own stability. Many other states in Southeast Asia, such as Cambodia, Myanmar, the Philippines, and Thailand, are also muzzling journalists and arresting political activists. US President Donald Trump’s de-prioritisation of human rights may signal to undemocratic regimes such as Vietnam that the US will no longer hector their leaders over crackdowns on domestic dissent and other abuses of political power. Freed from concerns of international censure, we can expect Vietnam and regional autocrats to continue to expand their dragnet over open society. Nguyen Van Dai, Nguyen Mai Khoi, Mother Mushroom, and countless others detained in the last year are likely to be only the opening salvo.